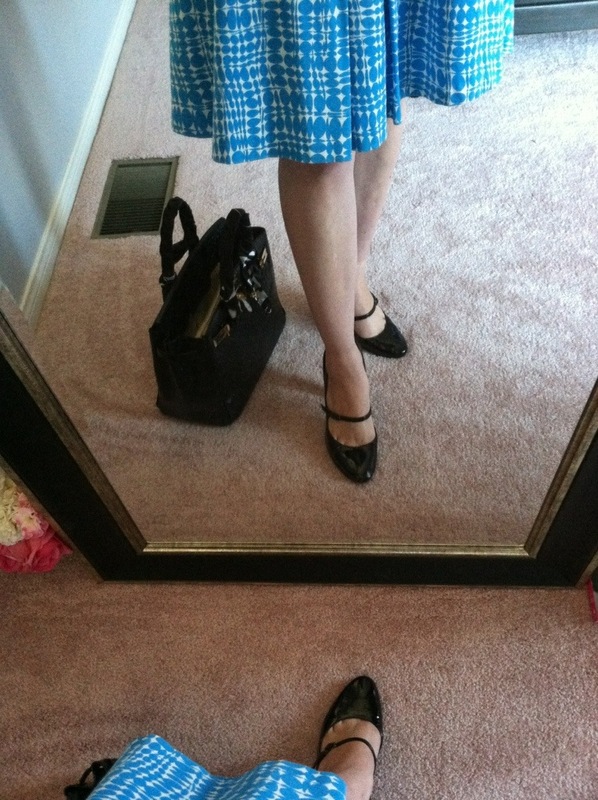 I have been so busy this week that I’ve not taken the time to take a photograph of any outfit, much less write something! I have quite a few last minute orders, and have been baking baking baking all week. And recovering from a decision I made to do some light workouts, just to tone up with summer coming. I didn’t realize how out of shape I am! Whoops! 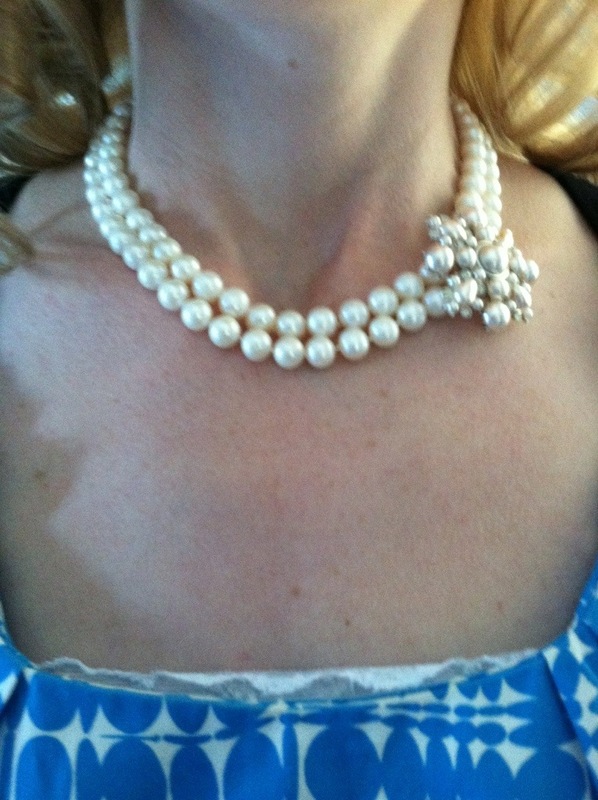 I added a brooch to my pearls for some fun. I was costuming the high school girls last night for their play this weekend, and I attached lots of brooches to necklaces!! It’s something different anyway. My heart goes out to those in Boston as well as the tiny town of West, Texas. Such a week of tragedy!! 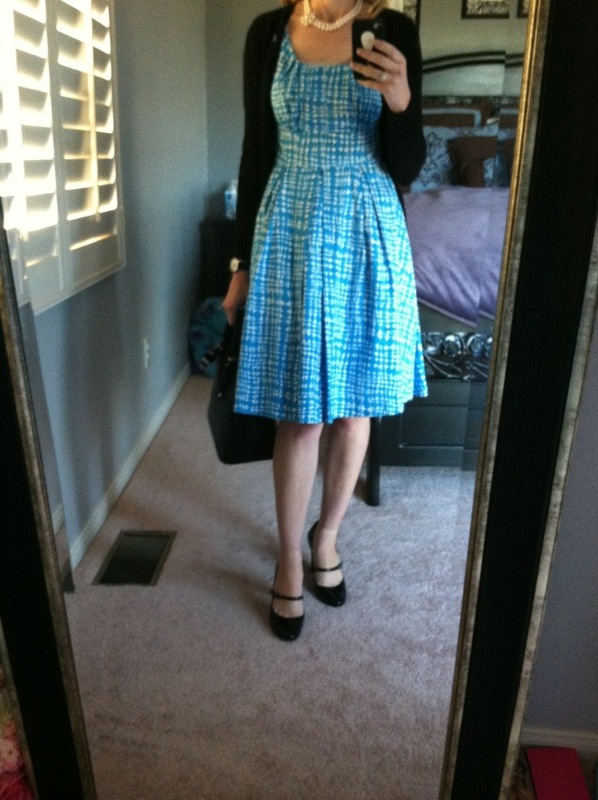 This entry was posted on April 18, 2013 by katespadegirl. 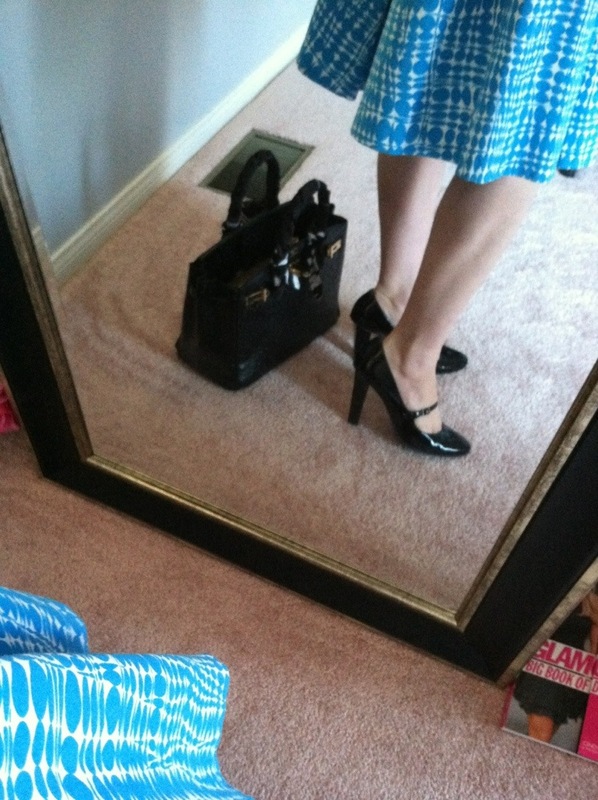 It was filed under Outfit of the Day and was tagged with Ann Taylor, Calvin Klein, hermes, Jimmy Choo, pearls. CARRY THAT CAKE BAG OR SEND IT TO AUNTIE ROLI, dammit. So cute! Love the pearls and the heels, looks great! I can’t believe you defile that bag with work stuff.